The reason why many probably remember the Ascona B series well is because of the rally version of the car. Built in 1981, the 1980 world champion Walter Röhrl took the car to victory and won the World Rally Championship drivers' title in the 1982 season. 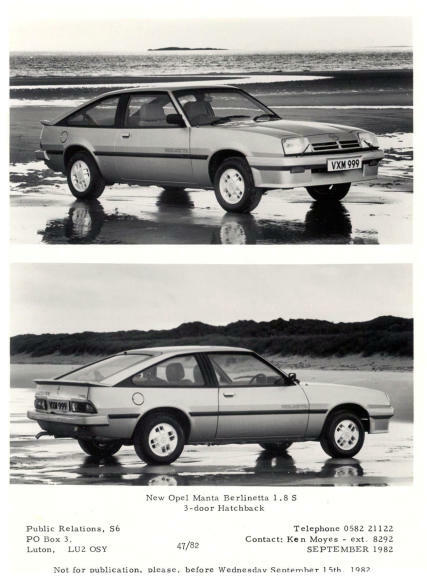 The car was developed by Opel alongside the Manta B 400 model which consisted of the same changes. Irmscher and Cosworth were hired as partners for the project, Cosworth to deliver a 16 valve double cam crossflow head for the engine, and Irmscher for the exterior and interior styling. 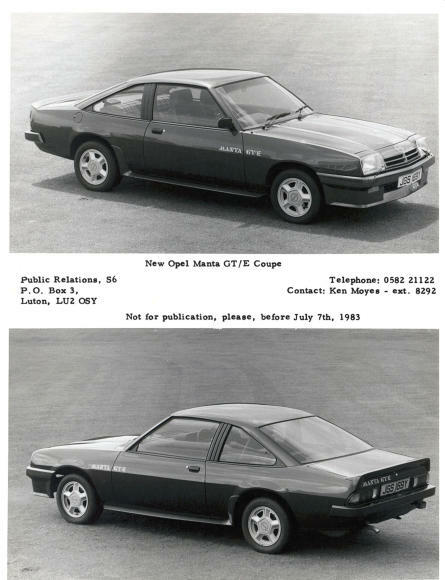 Cosworth delivered the heads to Opel and Opel soon discovered a major mistake. The plan was to use the 2.0 litre engine block but this did not produce enough power. 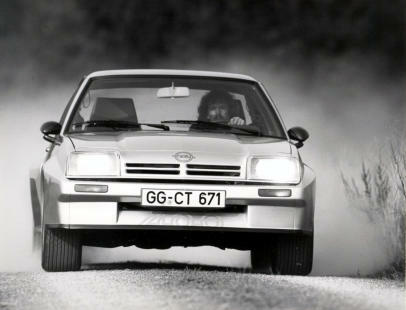 Time was running out and Opel badly needed to do something. 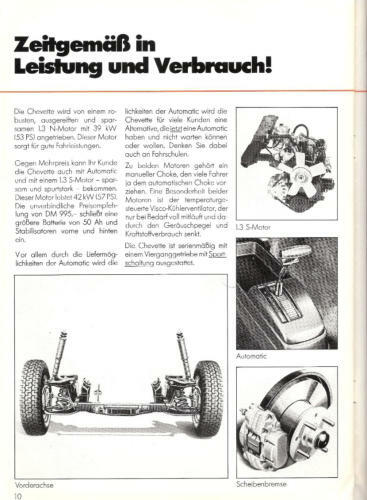 Opel took the 2,0E block and gave it an overbore, installed larger pistons, other piston rods, and installed the crankshaft of their 2.3 litre diesel CIH style engine. Results was a 2.4 litre engine. 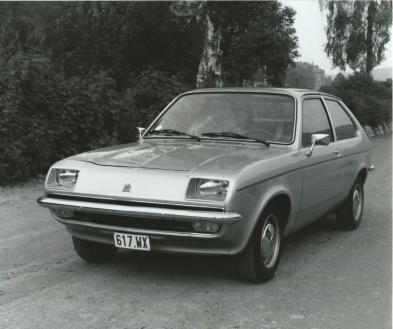 The 2.4 litre engine gave way to some massive power outputs using the 16 valve head. 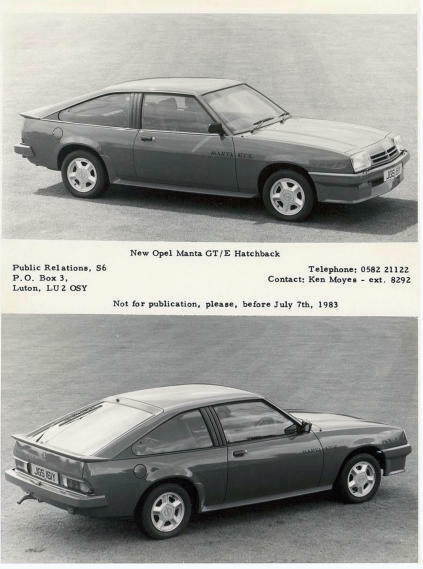 The street versions of the 400 therefore came with 144 bhp (107 kW; 146 PS) engines, using the Bosch fuel injection of the Manta GSi and GT/E series. However in race trim they were delivered putting out some 230 bhp (172 kW; 233 PS), which could be improved further to a staggering 340 bhp (254 kW; 345 PS) + still using normally aspirated engine components. Irmscher delivered the rally trim for the exterior. Large and widened wings, light weight doors, hood, front wings, rear boot lid and doors were installed keeping the weight down. In 1984, the Audi Quattro appeared more powerful than ever and the Ascona 400 was rendered obsolete. But the Ascona 400 still has some remarkable records. 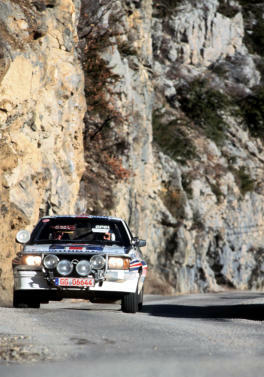 The Ascona 400 was the last rear wheel drive rally car to win the drivers world championship, ensuring its place in the motorsports book of history. Opel Ascona 400 Works Cars. Safari Rally and standard Rally set-ups. Walter Rohrl Opel Work Driver and World Champion in 1982.